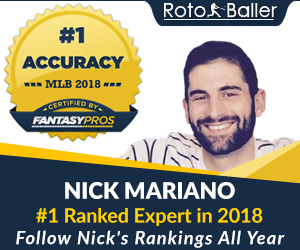 RotoBaller has assembled a list of daily NBA injury updates to help you prepare both your seasonal and daily fantasy basketball lineups, every day of the NBA season. Below is our updated list of injured NBA players for October 10th, 2018. Only players on teams that are scheduled to play today will appear. Understanding the injury landscape is key in all forms of fantasy basketball. Consider this your one-stop overview of fantasy-relevant injuries around the NBA. Note: this post is updated throughout the day, every 20 minutes, in case new injury updates are reported. Dwight Howard WAS Questionable (Buttocks) DET Away Howard is dealing with a piriformis injury and his status for the season opener against the Heat is in question. Jodie Meeks WAS Out (Suspension) DET Away Meeks is currently serving a 25-game suspension that dates to the 2017-18 playoffs for violating the league's drug policy and has 19 games remaining. 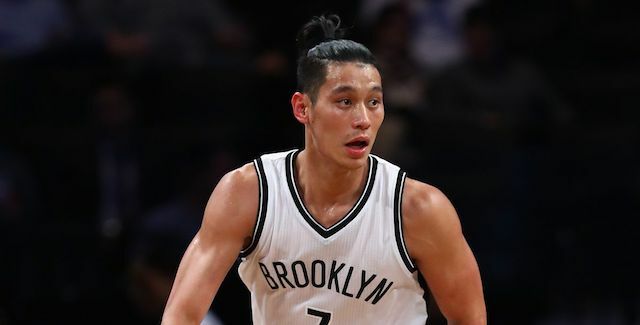 He is expected to make his season debut November 28 against the Pelicans. Markieff Morris WAS Questionable (Abdominal) DET Away Morris is nursing an injured abdomen and it is unknown if he will be available for the season opener against the Heat. Thomas Bryant WAS Questionable (Ankle) DET Away Bryant is dealing with a left ankle injury and it is unclear if he will be available for the season opener against the Heat. Jon Leuer DET Probable (Knee) WAS Home Leuer had offseason surgery to repair a right knee injury but is likely to play against the Nets in the season opener. Reggie Jackson DET Probable (Ankle) WAS Home Jackson had a minor procedure performed on his right ankle in the offseason but it is not expected to impede his availability October 17 against the Nets. Stanley Johnson DET Probable (Toe) WAS Home Johnson is expected to be available for the season opener against the Nets despite a sore toe. Kyle Anderson MEM Questionable (Heel) ORL Away Anderson has an injured heel and it is uncertain if he will play against the Pacers on October 17. Jevon Carter MEM Questionable (Thumb) ORL Away Carter underwent surgery to repair a torn ligament in his right thumb and it is unclear if he will be ready for the season opener against the Pacers. Terrence Ross ORL Questionable (Foot) MEM Home Ross is hampered by a right foot contusion and it is unknown if he will be available for the season opener against the Heat. Mohamed Bamba ORL Questionable (Wrist) MEM Home Bamba has a right wrist injury and it is unclear if he will play against the Heat in the season opener. Allen Crabbe BKN Questionable (Ankle) TOR Away Crabbe has a left ankle injury and it is unclear if he will play against the Pistons on October 17. Shabazz Napier BKN Out (Hamstring) TOR Away Napier is nursing a hamstring injury and there is no timetable for return. Kenneth Faried BKN Probable (Ankle) TOR Away Faried is likely to be available against the Pistons in the season opener despite an ankle injury. Rondae Hollis-Jefferson BKN Probable (Hip) TOR Away Hollis-Jefferson is dealing with a left abductor strain but is expected to be ready for the season opener against the Pistons. Norman Powell TOR Questionable (Thigh) BKN Home Powell is dealing with a thigh injury and it is unclear if he will be available for the season opener against the Cavaliers. Delon Wright TOR Questionable (Thigh) BKN Home Wright has a strained left thigh muscle and it is unknown if he will play against the Cavaliers on October 17. Dejounte Murray SA Out (Knee) ATL Away Murray tore the ACL in his right knee and is expected to miss the 2018-19 season. Lonnie Walker IV SA Out (Knee) ATL Away Walker IV tore the meniscus in his right knee and is expected to need six-to-eight weeks to recover. Dewayne Dedmon ATL Out (Ankle) SA Home Dedmon has sustained an avulsion fracture in his left ankle. It is unknown when he will return to the lineup. Justin Anderson ATL Questionable (Shin) SA Home Anderson is battling a left tibia injury and it is unclear if he will suit up in the season opener against the Knicks. Daniel Hamilton ATL Questionable (Shoulder) SA Home Hamilton is recuperating from a right rotator cuff tear and it is undetermined if he will suit up for the season opener against the Knicks. John Collins ATL Questionable (Ankle) SA Home Collins is hobbled with an ankle injury and it is uncertain if he will be available against the Knicks on October 17. Alexis Ajinca NO Out (Knee) MIA Away Ajinca if recuperating from knee surgery and there is no timetable for recovery. Julius Randle NO Probable (Back) MIA Away Randle is likely to suit up against the Rockets on October 17 despite a back injury. Jahlil Okafor NO Probable (Ankle) MIA Away Okafor hurt his right ankle but is expected to be available for the season opener against the Rockets. James Johnson MIA Questionable (Hernia) NO Home Johnson is dealing with a hernia and it is unknown if he will play against the Magic in the season opener. Wayne Ellington MIA Questionable (Ankle) NO Home Ellington is tending to an ankle injury and his availability against the Magic on October 17 is up in the air. Goran Dragic MIA Questionable (Knee) NO Home Dragic is battling injuries to his knee and ankle, leaving his status for the season opener against the Magic up in the air. Dion Waiters MIA Doubtful (Ankle) NO Home Waiters is unlikely to play in the season opener against the Magic as he is still recovering from a surgery to repair his left ankle. Tyler Johnson MIA Questionable (Thumb) NO Home Johnson is recuperating from an offseason left thumb surgery and his status for October 17 against the Magic is in question. Derrick Jones MIA Out (Shoulder) NO Home Jones Jr. is nursing a shoulder contusion and there is no timetable for recovery. Thaddeus Young IND Questionable (Foot) CHI Away Young is dealing with a bone bruise in his foot and may not be ready for the season opener against the Grizzlies. TJ Leaf IND Questionable (Calf) CHI Away Leaf has a calf injury and it is unclear if he will play October 17 against the Grizzlies. Edmond Sumner IND Questionable (Ankle) CHI Away Sumner left Saturday's game against the Grizzlies with a sprained left ankle. His status for Wednesday's regular-season opener against the Grizzlies is in question. Omer Asik CHI Out (Illness) IND Home Asik is dealing with inflammatory arthritis and there is no definitive timetable for his return to the court. Denzel Valentine CHI Out (Ankle) IND Home Valentine sustained an ankle injury and will miss one-to-two weeks of action. Lauri Markkanen CHI Out (Elbow) IND Home Markkanen has suffered a lateral elbow sprain and is expected to miss six-to-eight weeks. Devin Booker PHO Questionable (Finger) POR Away Booker underwent surgery to repair a fifth metacarpophalangeal joint in his right hand and it is unknown if he will suit up against the Mavericks on October 17. Maurice Harkless POR Probable (Knee) PHO Home Harkless is recovering from offseason arthroscopic knee surgery but is expected to be available for the season opener against the Lakers. Draymond Green GS Probable (Knee) LAL Away Green is dealing with a sore left knee but is expected to be available for the season opener against the Thunder. Shaun Livingston GS Questionable (Hip) LAL Away Livingston is experiencing tightness in his hip and it is unclear if he will play against the Thunder on Tuesday. DeMarcus Cousins GS Out (Achilles) LAL Away Cousins is recuperating from a torn Achilles that ended his 2017-18 season but is aiming to return during the latter part of December. Lonzo Ball LAL Questionable (Knee) GS Home Ball is nursing an injured knee and it is unclear if he will participate in the season opener against the Trail Blazers. Josh Hart LAL Questionable (Hamstring) GS Home Hart has a hamstring injury and it is unknown if he will play against the Trail Blazers in the season opener. Josh Huestis SA Questionable (Foot) ATL Away Huestis is sidelined with a fracture in his right fifth metatarsal, leaving his status for opening night against the Timberwolves in question. Get a free trial of our powerful NBA Premium Tools. 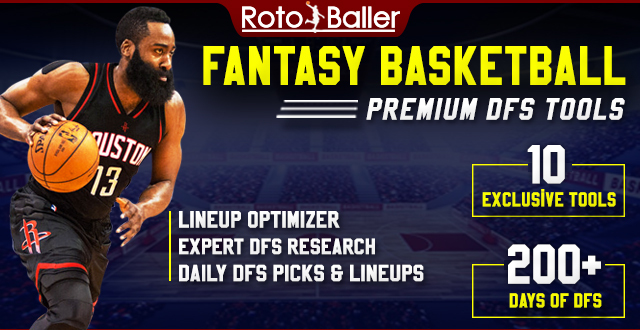 Our famous DFS Cheat Sheets, and NBA Lineup Optimizer & Generator with daily matchup projections. Win more. 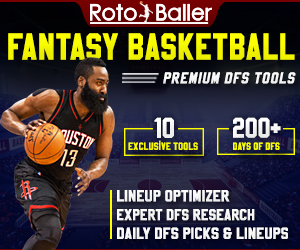 Try the most advanced lineup optimizer in daily fantasy basketball.